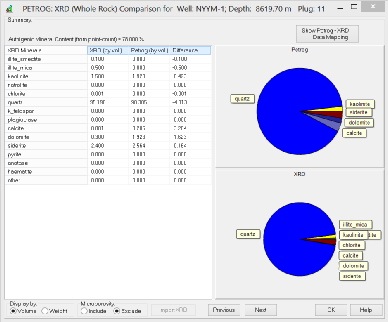 Microporosity values are calculated from the abundance of the microporosity containing material and are displayed in the Porosity Summary window. Calculated microporosity can be scaled to fit the difference between observed and measured porosity values. The review process also includes the examination of any images and comments stored during data capture, together with the associated compositional data.